I love glass jars. I love the way things look in glass jars. I love organizing my glass jars. I love filling them, moving them, reorganizing them and ultimately standing back and looking at them, sometimes for hours. A neat, organized, labelled store cupboard is my happy place. And The Container Store, that’s also my happy place. A place staffed by the organizing savvy who will sell you a container, a receptacle, a vessel, a canister, a can, a box, a repository or a beautiful glass jar for every single thing in your home. Afternoons don’t get much better than a wander through the über-organized shelves of The Container Store. 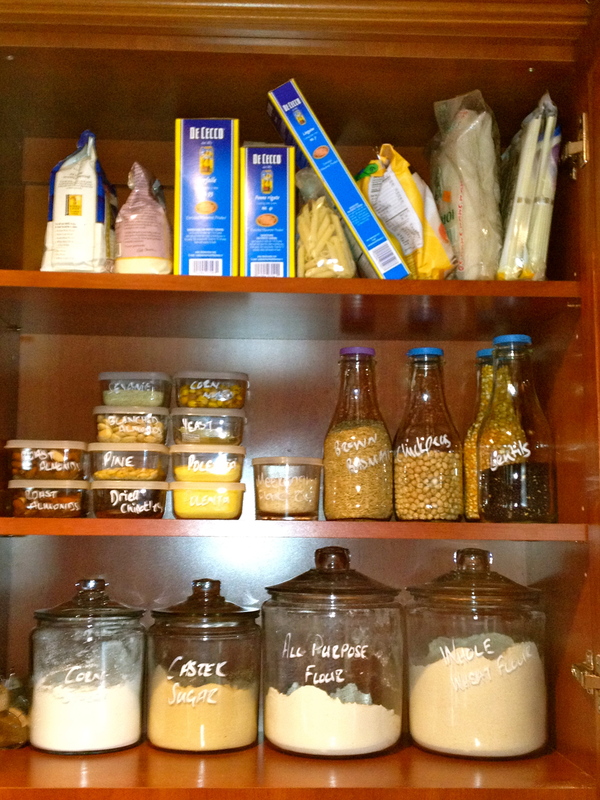 This entry was posted in Uncategorized and tagged glass jars, store cupboard by Shelley-belly. Bookmark the permalink.